With 2014 approaching, the Calgary Real Estate Board announces its real estate forecast of Calgary for 2014. More growth is expected in 2014 in the housing market in Calgary. 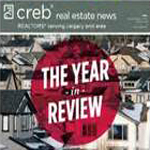 Sales and prices will go up, said CREB, while preparing their annual housing forecast. Ann-Marie Lurie, CREB’s chief economist expects sales growth to be 3.6 per cent. Price growth is expected to increase 4.3 percent. “Strong migration levels over the past two years have combined with strong employment and wage growth to support further gains in sales next year. Both sales and price growth exceeded our expectations in 2013. Stronger than expected demand was related to higher than expected migration and employment growth, while the tight rental market got tighter following the floods. Meanwhile, supply levels didn’t keep pace with rising demand, which pushed the market to favour sellers and created stronger than expected price growth,” says Lurie. Economic conditions continue to remain favorable in 2014, said Lurie. Tight market conditions will likely persist over the near term, but rising listings and increased competition from the new home sector should alleviate supply pressure and push the market toward more balanced conditions in the later part of 2014. 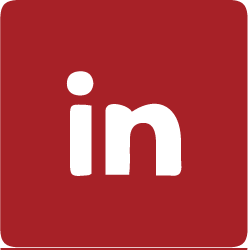 “This combined with potential increases in long term lending rates should take some of the steam off the exceptionally strong price growth of eight per cent, which we’ve recorded so far this year,” said Lurie. While growth is expected in 2014, said Lurie, there is considerable risk in the energy sector.